London’s future: forward to the ‘super city’ or back to the 1970s? A document called London 2030 And Beyond was launched last week at City Hall’s top floor Living Room before an audience of wise and knowledgable London thinkers and doers. The document, a report compiled by the King’s Commission on London initiated by the Policy Institute at King’s College, looked in particular at how London’s health, further education and skills training provision can be improved, and did so in the context of the city’s economic future as Brexit nears. 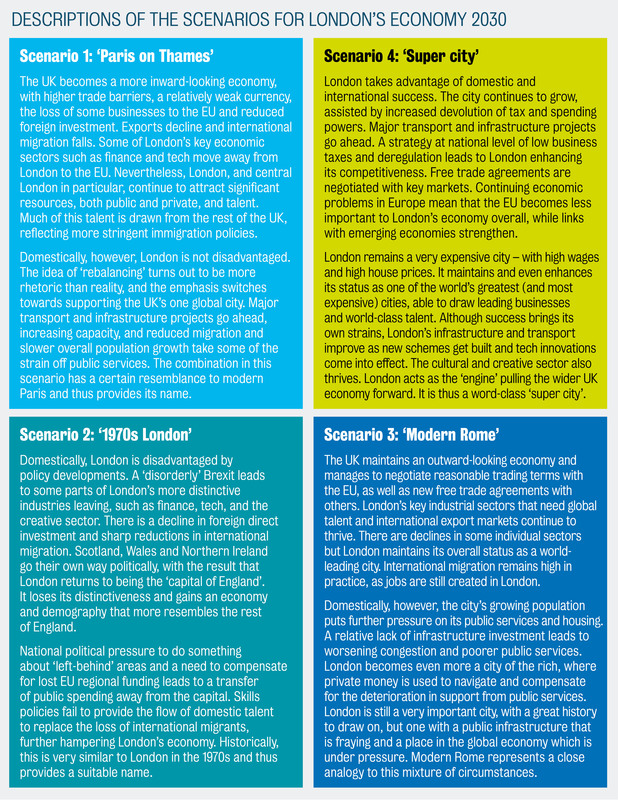 It explored four scenarios, which might be reduced to a stark choice: London can keep on growing and improving, or it can shrink and fade. We become Paris on Thames: this means the government looks after us, but we became more parochial and closed. We go back to the 1970s: we become more parochial, more closed, and the government doesn’t look after us either. We become a “Modern Rome” – still outward looking, still international, but “severely deprived” of resources by the government. We become a “Super City” – we stay open and international and we get the resources and investment we need, helped by the devolution of tax and spending powers on a much bigger scale than now. You will have guessed which scenario the commission most liked the look of – for them, it’s the Super City, supercharged by the delivery of major infrastructure projects, benefitting from international free trade agreements, pulling forward the wider UK economy, which could be depending on it even more than it does already. Yes, London would still be expensive. Yes, London’s dominance of the national economy is problematic, but beating London up or simply taking it for granted – attitudes that have been apparent from the leaderships of both mayor national political parties recently – won’t do the rest of the country any good. 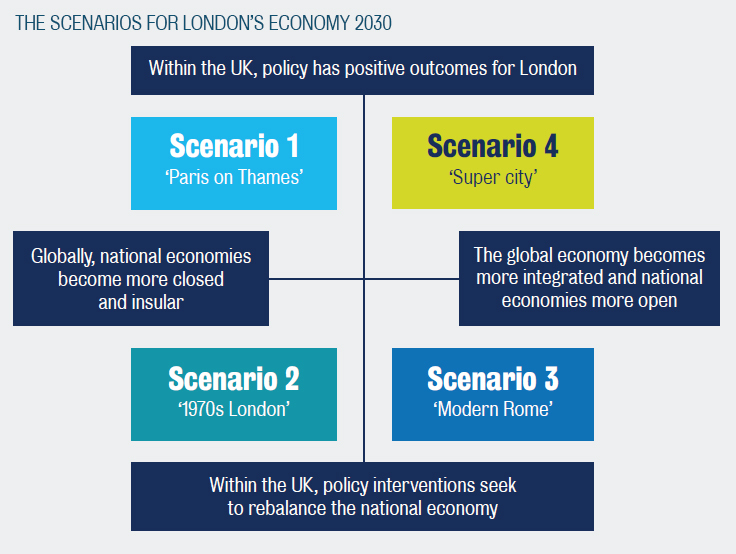 This upbeat picture of London’s future would be more likely to be realised if major reforms were made in two areas, health and FE and skills, where the Mayor – who introduced the King’s Commission’s work – has very limited powers at present and the current structures are immensely confusing. Among the Commission’s health recommendations are “a significant transformation and investment in primary care” and “a step change in integrated care” – changes London’s GP practices have long argued for. On skills, it calls for, among other things, the “full and unconstrained” devolution of the Adult Education Budget to London next year, more Mayoral powers and involvement in the working of the apprenticeship levy, and consideration of developing GLA-backed schemes to get more young Londoners into the construction industry. That’s just a taste of of the Commission’s recommendations. 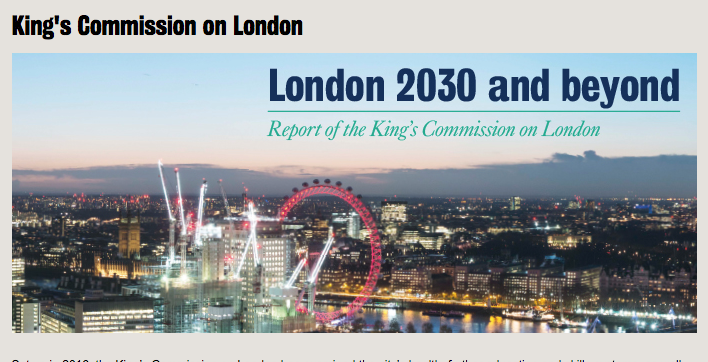 Read the whole of London 2030 and Beyond via here.